-Staff tasked to do a program when training has not been provided for "competency"
The above list is not all inclusive - there are many variations and tangents. In fact, while I find similar dysfunctions, the causes vary greatly. In most cases, the practice culture is caustic. When it isn't caustic, it is detrimental to harmony. did not want me to address any programs. school, nor was leadership, business, or organizational behavior. the owner's recurring question, "What did you screw-up today?" Standards of Care were not a consistency or even an expected standard. were not embracing the SOCs and/or booking patients as jointly expected. patriarch and that often frustrated him. The above list is not all inclusive either - there are many variations and tangents. In fact, while I find similar dysfunctions, the causes vary greatly. In most cases, the practice ownership has lost their focus on their vision and mission focus. There are a few consults that are really great - practices that want to go to the next level and want a savvy guide to help them and their teams. Many times, giving these visionary leaders the text on Servant Leadership excites them to seeing the many potentials available. The concept of servant leadership has been around for ages, but it was not until Robert Greenleaf coined the term in 1970 in his paper, The Servant as Leader, that it became popular. Greenleaf defines it as wanting to serve first in order to ensure that other people's highest priority needs are being served. Servant leaders use less institutional power and control while shifting authority to the followers. Secondly, servant leaders have a positive effect on the least privileged in society; will they benefit, or, at least, will they not be further deprived? If inequalities and social injustices exist, a servant leader tries to remove them (Graham, 1991). Inversely, popularity does not equal leadership, while the four Fs are essential for becoming a good leader: fair, firm, friendly, and focused. 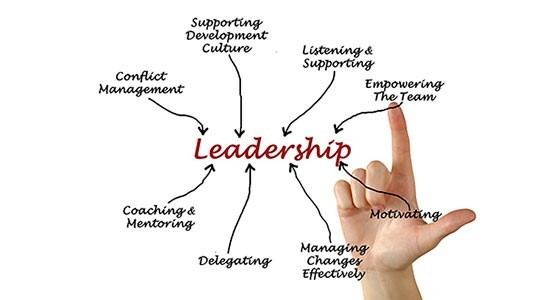 Servant leadership is both a leadership philosophy and set of leadership practices in that it emphasizes serving, while having ten principles (Spears, 2010) to guide the servant leader. In my text, Building the Successful Veterinary Practice: Leadership Tools (Volume 1), Wiley/Blackwell Publishers, I provide 14 leadership skills as we have presented them in high adventure leadership courses in the Rockies. I sincerely believe leadership is within the grasp of most practice owners, yet many seem hung up on management only. Leaders seem to engage and influence people through four mechanisms: what they do (role modeling); what they say (effective communications and narratives); systems and processes (tracking Key Performance Indicators, staff selection, and strategic budgeting); and the practice culture (Core Values, Standards of Care, Continuous Quality Improvement (CQI). Often leadership only focuses on the first two mechanisms, yet most stuff-ups occur because of neglect of some aspects of the last two. The attached article on workplace conflict attempts to put it into a working perspective. I hope you enjoy the adventure. P.S. Please review the VCI SEMINARS AT SEA 2015 (/site/view/214832_.pml ), departing New Orleans after Thanksgiving for 7 days in the Western Caribbean. You'll never have another continuing education opportunity where faculty are available for 7 days to explore specific practice tailoring questions/concerns. Okay - what is stuck in my craw this week? I have been battling "sound byte" leadership session, sometimes from weekend courses that "feel good", sometimes from texts that are "easy reads" and more often from seminars where the speaker can pontificate a leadership thesis, but has never had it make it work in an alien environment or different practice culture. This new breed of consultant, "this worked for me in my practice" most often ignores the long and laborious total efforts required to build the culture where ideas can land on fertile ground. Add to that the current journal expectation that meaningful messages can be delivered in 1500 words and we can see the formation of frustration factors. Veterinary schools have not taught business (and students have not really enjoyed the meager efforts that have been tried). Also, most veterinary schools have not taught leadership (and most students have not really enjoyed the life experiences to appreciate the need). Add to this the use of a team-based healthcare delivery culture, seldom seen in the practices of old and not that common with today's practice owner who wants to keep "tight reins" on the practice flow - a culture of distrust develops that most owners do not even understand. Most new graduates do not understand how fragile the team confidence is when they vary from the Standards of Care, but then, most practices do not have a written Standards of Care for Risk Level 1 animals that are inviolate! 3) Crucial Conversations: Tools for Talking When Stakes Are High, by Patterson, et.al. When I wrote the text, Building The Successful Veterinary Practice: Innovation & Creativity (Vol 3), I put a STOP SIGN and challenge in the preface. I also have an empty iceberg on every right hand page (Vol 1 and Vol 2 had applicable quotes in the iceberg), and prompted the reader to put their key point into the iceberg from every two pages of reading. Every chapter ended with a mind map charter, and an early format to be completed, to be completed by the reader. As I travel around veterinary practices, I often find my three volume starter set on the bookshelf. I open Volume 3 and see if they have done anything I suggested . . . needless to say, it seldom has been done at any level of attempt! So when I say "read and understand" the above three basic texts when you embark on the culture changes needed for team-based veterinary healthcare delivery, I concurrentlyaccept that most practice owners and veterinarians think they know better, although they have never practiced in a multi-tasking, team-based, environment. How do I know this? In 2007, we put the landmark text into the VIN Library for FREE download, THE PRACTICE SUCCESS PRESCRIPTION: TEAM-BASED VETERINARY HEALTHCARE DELIVERY //www.vin.com/Proceedings/Proceedings.plx?CID=TomCat2007&O=Generic. I say landmark because in 2014, AAHA chose that subject as their initiative. Most people accessing the free site and data (500 pages with 18 appendices) complained they had challenges in implementation. Upon follow-up, they had cherry picked the ideas, and did not spend the time in basic orientation & training, or even the systems and schedules needed to make it work. This is not the gimmick of the week - it is a total 24/7, 365 commitment! It is not the 1500 word sound byte of the journals. It is not a 90-minute "I did it once" seminar discussion. I have been in 2000+ practices and seen good implementation as well as the bad. Picture a practice owner investing money in team-based leadership training (sometimes he did not attend) for key staff, then tasking them rather than asking them about initiatives. The usual answer when asked "why the tasking?" is usually, "THAT TAKES TOO LONG TO ASK". If you do not want to read references, you could invite me in (/vci-programs.pml),but understand you must be willing to change, since what you have is what you built. If that is not feasible/acceptable at this point in time, you may want to consider visiting the New Orleans port for VCI Seminars at Sea 2015 (/site/view/214832_.pml) where you have FIVE consultants for seven days - plenty of time to pick their brains one-on-one while cruising in the Western Caribbean 29 Nov to 6 Dec (if you decide on a consult from there, I credit back to your account with the seminar registration against the consult fee). Trust me - changing your practice culture to be a multi-tasking, team-based, veterinary healthcare delivery system is not just a snap of the fingers nor a "I said so" effort. That is why on a consult I build step-by-baby-step monthly Action Plans . . . and why as I track the KPI's monthly . . . we also discuss the monthly Action Plans. Hint, while I do return quarterly, if you select not to keep me informed with a monthly KPI an Action Plan submission, that is YOUR choice. I have learned that I can never try to do more than what you are willing to do. Think about what you want to experience in 3-5 years. Many of the KPI aspects provide immediate program-based rewards, but it is an integrated leadership team that will allow it to continue and mature as you kick back and relax. On my consults, we always initiate a procedure tracking effort; we issue the practice an Excel Spread Sheet System for Procedures as well as Key Fiscal Data and a detailed monthly budget with income centers aligned to expense centers keyed to the previous Fiscal Year. Most veterinary management computer systems do not automatically list procedures. History tells me that most practices have to realign or add to their categories to get out meaningful procedure data for EOM assessment. Interestingly, these reports stem from a written Standards of Care (SOC) for well-care issues (70% of the front door swing rate for most practices), and most practices have not taken the time to develop this dynamic SOC document. New programs need new metrics, else reversion is likely. If you are interested in reading more, there are Signature Series monographs in the VIN Bookstore, one titled Models & Methods that Drive Breakthrough Performance and another titled HORIZONTALLY INTEGRATED VETERINARY WELLNESS MODEL (expanding beyond traditional curative and preventive medicine paradigms), both come with electronic tool kits to make practice adaptation easier. 95% of puppy owners want behavior management assistance; in a recent review of web site hits, #1 search was location and #2 was behavior management. The AAHA text by Linda White, First Steps with Puppies and Kitten: A Practice-Team Approach to Behavior, is a training must! Serious periodontal disease affects about 85% of dogs, while 72% of cats suffer from tooth resorptions, a type of cavity that often isn't discovered until extraction is the only available treatment. American Veterinary Dental Society reports more than 80% of dogs and 70% of cats develop signs of dental disease by the age of three. They also recommend the oral surgery fee should be similar to a toe amputation or surgical removal of a 2-cm mast cell tumor. Under anesthesia, 60% of the plaque and tartar reside deeply under the gum line. Half of the practices now have dental imaging equipment, but less than 20% are routinely taking radiographs; 42% of cats and 27% of dogs have oral pathology that can only be diagnosed by dental radiography. Over 52%of canine patients and 58% of feline patients are considered obese; 45% of pet owners of obese pets do not consider their pets overweight. Researcher at U of FL found that owners of 1086 non-wellness plan patients spent $868.10 over the research period, while owners of the wellness plan patients spent an average of $1399.20 during the same period; that $531.10 annual increase in income over non-wellness plan patients was based on reduced barriers to access. On some recent consults, I have seen that 95% behavior management effort reflect only 4 cases a month when tracked, the 85% dental rate expectation reported at below 4%, the over 50% obese cases NOT getting veterinary nurse technician internal referral for tracking, and the nursing staff totally under-utilized for dental radiography. In some cases, the practices have priced themselves and their DR dental X-ray out of use, since the "vendor recommended fee" actually doubled entry level dental fees. Look at your community dentist who uses dental hygienists (that is what your clients have learned to expect for cleaning), and talk about dental cleaning (DG1+) and deep dental cleaning (DG2+), rather than scale and polish, periodontal disease, or gingivitis - they are alien terms to 56% of your clients. Does you front desk team inquire about bad breath at check-in (response is I made a note for the nurse to check that), and does the outpatient nurse flip a lip, check for brown teeth, state that is the bacteria you are smelling, and state "I have made a note for the doctor to talk to you about that". Do all pets with other than a 5 on the 9 point Body Condition Score (Purina has nice charts, and the new Hill's picture set has more than 9 categories) get referred to a nutritional advisor (vet nurse) who brings them back monthly for weigh-ins? How do you track those return visits (you probably have to add specific nurse consults for dental follow-up, nutrition, behavior and similar programs (new metrics). Tracking specific procedure counts per 100 patient transactions gives you a starting point for pursuing a 10% improvement each month. Three critical training factors are existing above, but are not to be taken for granted. The attached article provides some insights to charting your practice progress within some of the critical issues of veterinary healthcare delivery. To think someone thought I have left fingerprints on this profession - wow! In the grand scheme of things, Strategic Assessments and Strategic Responses, are very difficult for the average practice. Yes, some call it strategic planning, but that has proven to be a misnomer in healthcare. Our clients never get to read the Strategic Plan, the Internet makes the life cycle of "great new ideas" a very short period of time, and most veterinary practices do not have the diversity and experience to foretell the future of technology, community demographics, or the economic marketplace. Don't get me wrong dear friends, strategic assessment is essential for making the progress needed in today's competitive environment; it must feed timely strategic response! I often hear practice owners saying they want to be innovative and creative, but then they ask me for 20 practices already doing "it". Worse, practices try to save money on strategic planning so they do not get a veterinary futurist to mentor their process; they try to do it all themselves. Think about this DIY syndrome . . . the practice is exactly where all those internal resources have brought it! The practice has the clients it has attracted and retained. It has the staff members it has hired and retained. It has the programs and procedures the management (maybe leadership) has wanted and developed. Just because you take these same people off-site into a retreat site, that does not cause a different mind-set. In fact, most practices are very poor at facilitating their own brainstorming sessions (e.g., who is Tony Buzon and how does he facilitate brainstorming?). The promises made and forgotten in the past taint the mind-set of the players. Many veterinarians and practice managers make the mistake of offering value judgements during the brainstorming phase of the assessment process; they cull ideas and suggestions as they are offered and actually kill interactive discussion (again, Tony Buzon offers great brainstorming techniques and processes). I used Tony Buzon techniques to close every chapter in my text, Building The Successful Veterinary Practice: Innovation & Creativity (Volume 3), Wiley & Sons publishing, which I wrote almost 20 years ago. I also have a VCI Signture Series monograph, Strategic Assessment & Strategic Response, with an electronic tool kit, available in the VIN Bookstore. For the record, my text Veterinary Medicine & Practice, 25 Years in the Future, and the Economic Steps to Get There, Wiley & Sons Publishing, has a few non-veterinary "trends" inside the front and back cover, and the first eleven years forecasted have been pretty accurate. So there are references available if you want to try your own DIY brainstorming and Strategic Assessment process. As a veterinary consultant, I am also available to hire on as a facilitator. So as we get ready for Super Bowl Sunday (Monday here in Australia), I am attaching an overview article on MANAGING STRATEGIC CHANGE, just in case one of the teams show as unready as the Broncos were last year; you have something to ready as you eat that Pizza and snack on the nachos (with or without the three bean chip dip). I have found all beef hot dogs finally (most all "hot dogs" in Australia are 75% pork, patterned after the UK snags), and soft hot dog buns, so I can even make Chicago Dogs as I watch the game Monday (I have fresh Lombardo Italian peppers to make special Chicago Dogs). Strategic change in managed in different ways depending on the practice culture and the practice leadership; these are influenced by variations in organizational capabilities, behavior, values and traditions. Many people jump into Strategic Planning with single tool: a SWOT four-quadrant concept. First thing to know is that a Strategic Plan has a very limited life span, for three reasons: 1) any arbitrary assessment by management of the client relations aspects are very difficult to predict, 2) most players do not do their homework before entering the planning session, and 3) in most all cases, they ignore the need for a profession savvy futurist for discussion topics and prediction assessments. Key elements include an understanding of PEST and SWOT tools, as well as who is selected as the veterinary savvy consultant to mentor the strategic assessment process. PEST analysis (Political, Economical, Social, Technological) can be useful before SWOT analysis because PEST helps to identify SWOT factors. PEST and SWOT are two different perspectives but can contain common factors. SWOT stands for strengths, weaknesses (internal to the organization), opportunities, threats (external to the organization). What does the organization know about effective change (e.g., transition management)? Has some event happened that has caused the need for a strategic assessment, and is that event significant enough to cause commitment to the transition process? What has been the practice’s methodology for reaction to events and issues that spurs the practice team to deal with them effectively (waiting for the owner’s decision is NOT beneficial to the strategic assessment process)? How does the practice management usually build momentum and garner psychological commitments to achieve transition actions necessary for change or to develop new strategies? Have past initiatives used brainstorming (e.g., mind mapping) techniques to get team buy-in as it relates to the practice’s formal planning process? The cognitive processes of the participants on which an understanding of the organizational environment and perception of the signals for change are based. For a practice that has been ignoring their own core values, vision, and/or mission statement, the cognitive processes of the participants is most often “me centered” rather than “we centered”, and thus makes the strategic assessment participants suspect at best. The social and organizational processes by which these perceptions are channeled and commitments developed within the practice. In a practice where the Standards of Care (SOC) are ignored, or downplayed, the perceptions again are “me centered” rather than “we centered”, and thus as above, makes the strategic assessment participants suspect at best. The political processes by which consensus has been formed in the past, and the power to influence purpose and resources, has a significant effect on the strategic assessment process. A top-down decision tree, delegation of process rather than outcome, and lack of effective “training to a level of trust” during duty hours, automatically derails any team-based strategic planning process. Pitfall One (You cannot drive the car without a driver) – no plan, and no planning process, can work unless the concepts have complete commitment from the top. Nothing kills the incentive and participation as much as the staff members sensing the gal is not taken seriously by the boss. The history of “lip service” is a major challenge, and intimidation or indifference by the practice owner kills the practice-wide commitment. Pitfall Two (You cannot start until everyone is in the car) – bottom-up planning helps avoid this pitfall, but many practices only take the senior staff on a strategic planning retreat, by-passing the very people needed for practice success of any new program/concept. If the staff avoids accountability and/or responsibility because of ill-conceived timelines or measurements of success, the program(s) are never going to work! Pitfall Three (The plan is an end in itself, and the driver adlibs in route). Too many practice believe that having a Strategic Plan is enough (common with professional associations); it has a slick cover, it is bound well, and it fits on the shelf (or in the desk drawer) to be pointed at on some future date. A strategic plan without an action plan is merely a collective wish list, full of pious hopes and temporary resolves. Pitfall Four (The road without milestones) – any action plan must have milestones that can be celebrated as progress is recognized (check points are measured and achieved). Grabbing a strategic initiative starts a never-ending process; it become team-wide strategic thinking. Pitfall Five (You allow assumptions to become facts) – in reality, planning involves a great number of assumptions; it assumes issues about the marketplace, it assumes certain technology will become available, it assumes costs will stay on a predicted curve, yet is requires everyone to understand assumptions are not really facts! All assumptions must continuously be tested and retested, and when an assumption appears wrong, then the plan must be amended (plan A and plan B, and maybe C D or E, should be in place before the trip even starts). On that family road trip, you make assumptions about road construction, lodging, food availability, and if the boulders fall onto the road, you will assume the kids will not kill each other in the back seat. Checking assumptions keeps your efforts flexible, and ensuring you update your data base frequently may even help by-pass the road blocks looming ahead. Pitfall Six (You cannot drive in five different directions at once; you cannot even drive a two different directions simultaneously) – even with the best planning, sometimes an individual will divert into a different direction, or they will be purchasing outside the budget, or another practice reaches a similar community service goal before you do. Herding cats is not easy, but required. Pitfall Seven (Confusing hopes with objectives) – survival or profitability are NOT objectives, they are hopes or aspirations. An objective is observable, measureable and chosen correctly. Growing by 10% is not a team objective (it has no substance), while increasing dental grade 1+ prophys by 10% is a measureable objective. Increasing new clients by 10% is an objective, if it is measured. Hiring a nurse technician with specific skills (verified before hiring) is an objective, if those skills are used for a strategic response action plan. Pitfall Eight (In Australia or the USA, you cannot make it from the east coast to west coast in one day driving, and you cannot drive to London at all) – there is a real danger in forcing your team towards unrealistic goals. Over-expectations or overpromising will ruin any plan, and demoralize the people without whom the plan is just a lot of empty processes. Any good plan will have goals or objectives requiring people to stretch outside their traditional comfort zone; it makes them try harder and act smarter than they did last year. Pitfall Nine (When you give out the rewards, make sure you know what the rewards are for). Nothing tells people in a practice what’s expected of them more surely and more quickly than a targeted reward system (they can be lollipops, wall plaques, movie tickets, or even money). Your practice must have rewards for people achieving their new strategic goals, but there is a trap here. If the rewards are for only short-term goals (e.g., driving 500 miles), there must be also rewards for long-term thinking and long-term goals. After all, driving 500 miles a day in a circle gets you nowhere closer to an expected outcome. A long term strategic Action Plan must consist of a series of short-term objectives toward a long-term success point. Only long-term thinking, planning, and action will ensure survival – as the automobile industry in the USA and Australia has just discovered after a great deal of pain. Pitfall Ten (You must talk with your navigator and other members of the family) - Communication is critical, up, down, and side-ways. Communication helps keep track of how the perceptions of progress are seen, how things are going, and transmission of information. Information gathering is not only essential is developing the strategic response, and construction of the Action Plan, but also in the implementation of the plan. Planning, checking, explaining, revising, checking up, and communicating back to everyone, are all part of the information systems needed for team success. Pitfall Eleven (On a family trip, you cannot drive the car all by yourself; everyone must learn how to drive) – The ultimate point of strategic planning is to make everyone a strategic thinker and strategic manager. Keeping strategic planning as a isolated senior staff function will ultimately lead to the disappearance of strategic assessment and strategic response as an important prat of the practice life and staff member growth. There will be those team members who get anxious about any change transition process, some may get angry about the continuous feedback system requirements, and others who just want to get out there and put the rubber onto the road and try to move forward. While I understand these emotions, it is the last group that is right - they will move the practice forward as they move their programs forward. No successful organization will be one type only; they will blend all four types. modify their metrics is a practice that is usually destined for regression after the Strategic Planning retreat. you are going to Get what you always Got. In most cases, the “unselling of the old” and “selling of the new” are two separate leadership campaigns, yet most veterinary practices do not spend the time needed in doing either. However, these two tasks are interdependent and inseparable. The process must ensure the team members are convinced that the times have changed, the status quo will not ensure the future, and the transition process for change is needed. In practices where innovation has been encouraged, where outcome goals were Zone accountabilities, and change efforts have been rewarded, strategic assessment and response become easier. In practices with a strong sense of mission, vision, and/or purpose, where inspired leadership motivated others to pursue the long-term goals of the zones and/or practice, formal planning mechanisms have been viewed as less important in the implementation of the transition to change. If you read the characteristics of entrepreneurs, most of them have no plan(s). When you put a plan on a piece of paper team members feel they cannot change it or adjust it, so you have lost the ability to have a strategic response to a dynamic strategic assessment. On consults, I try to convince practice owners that they owe the staff members the WHAT and WHY of new ideas/programs (basis of the written SOC). They then need to empower the zone teams to develop the WHO and HOW (which takes a bit longer than a doctor-centered edict). After the Zone teams have the WHO & HOW figured out (e.g., protocols), the zone coordinators and leadership come together to jointly discuss the WHEN, which includes milestones and success measures. Training time precedes any implementation effort. On my year-long consult planning, I do a month-by-month step-by-baby-step process checklist, and ask the practice leadership to pace themselves, and keep me posted on their progress. I provide augmented set of metrics, and integrated spread sheets tailored to their practice, with the request to submit the documents with updated data monthly for my review and feedback. Even with these custom-built tools, there are practices that will not alter their metrics, so they do not complete the spread sheets, and feedback becomes minimized . . . change is minimized concurrently. Identification of “hot buttons” (key interests) of various staff members, and the strategic empowerment through directed training toward outcome goals, underlies many new program initiatives. Knowing when to act and when to delay is essential in managing the transition process for change initiatives. Change-makers must often wait for a propitious moment and prepare to take quick action when the time is ripe. Deciding whether to make an immediate attack or move more slowly is usually more a matter of management style than planning policy. A committed, dynamic, creative top management group which is able to communicate its vision and goals to others. Established system of task force delegation and ad hoc group empowerment to move ideas into action and/or gain broader consensus. A practice climate that is ready for change, or at least is capable of responding to external and internal stimuli. History of team commitment through participation and involvement. Maintains a system that is ready to reward innovation, excellence and encourages people to take risks, while NOT penalizing them for honest failure. Recognizing when a more participative style is necessary and willing to sacrifice management prerogatives and control to further the team approach. The half dozen elements above need to be “in effect” before a strategic assessment group session is formulated. The team members must believe their contributions are appreciated, promises will be kept/honored, and that they have been empowered with CQI (continuous quality improvement) within their sphere of influence. If you cannot see yourself committing to the above six elements in daily operation, then please do not commit to a team-based strategic assessment and strategic response effort. The New Year- time for making those resolutions that will too often be forgotten by February. A survey of 1000 Australians found 69 per cent of us intend to make at least one New Year's resolution. And while less than a quarter of us will stick to achieving our goals, there is a secret to succeeding. A year-long study at the University of Hertfordshire in the UK found the key to keeping your resolutions varies according to your gender. For men, setting specific realistic goals, such as "lose five kilograms by April", rather than just "lose weight", is best. Women should share their resolutions for the coming year with others, as, according to study leader Professor Richard Wiseman, "women benefit from the social support provided by friends and family". "If you halve your goal you'll be more likely to achieve it," dietitian Kate DiPrima says. "Instead of saying you'll exercise every day, make a commitment for three times a week. This way you'll have a sense of achievement rather than failure." is not the turbulence; it is to act with yesterday’s logic." In a veterinary practice setting, it means looking at your written Standards of Care (SOC) and comparing them to the historical KPIs (e.g., key procedures per 100 transaction). It also means a time to assess the SOC document for long needed upgrades to the WHY and WHAT of that document. The WHO and HOW are protocols that belong to the staff, driven by the clear and concise written SOC document. WHEN is the time after the nursing staff has done the WHO and HOW protocols to meet with the key providers and establish time lines, success measures, and training commitment needs. PLEASE - keep it real. Stating, "We will make 15% more money!" has nothing the staff can grab onto and work on to achieve. If you state, "We will book 10% more DG1+ dentistries each month, compared to same month last year. ", that is something everyone can work toward. The RECOVERED PET and RECOVERED CLIENT PROGRAMS (10% more each month than the same month in the previous year) are also great goals for the front desk team. So saying that about resolutions and resistance, I drafted the attached article to talk about change, transition, and the paradigms that prevent both. I hope it is helpful for the new year - and maybe, just maybe, a few of you will decide you need a savvy veterinary guide. My consulting programs are listed at www.drtomcat.com - also, unlike the newbies who "say" they are consultants, my philosophy is well established in the 15+ books I have published (most are available from Amazon.com, except the two new ones that are in the VIN Library for FREE download), and the 30+ monographs in the VIN Bookstore. I wish you the very best in the new year, and hope your change transitions are exciting, fruitful and filled with wonderment. "The objective of leadership is to accomplish the mission in the minimum time and with the maximum balance of individual needs." TO ENSURE QUALITY HEALTHCARE DELIVERY FOR EVERY PATIENT PRESENTED WITH AN ACCEPTABLE RATE OF FISCAL VALUE AND ADEQUATE QUALITY OF LIFE FOR THE PRACTICE AND ITS STAFF WHILE ESTABLISHING A CLEARLY DEFINED AND CLIENT-PERCEIVED VETERINARY SERVICES MARKET NICHE IN THE COMMUNITY. In striving to achieve this goal, the leader must accept full personal responsibility for all his/her decisions and must continually assess the situational environment in which the practice operates. Continuous quality improvement (CQI) requires that every member of the staff is accountable for the daily activities and pride in the tasks performed; the client perceives the outcome of that effort as quality care. Using profit-based performance standards is one method to recognize the staff's contribution to the hospital's CQI program. Too often leaders focus their efforts on short-range goals at the unnecessary expense of their subordinates (the team is subordinate to the leader, but do not need to be made to feel that way). In the long run this can be detrimental to both the staff and the practice. Effective leadership is accomplishing the mission with a minimum expenditure of personal time and effort and an appropriate balance between practice, staff, and individual needs and goals. Leadership ability becomes increasingly important as the practice team expands. When the practice becomes a multi-practitioner healthcare delivery system, leadership becomes a prerequisite for team building and success. While there are many styles of leadership, shades of grey in the spectrum of good approaches that vary with the situation, most all can be classed as either directive or nondirective leadership methods. The directive leader tells the staff exactly what to do and lets them know who is the boss. Group members have the secure feeling of knowing exactly what is expected of them. Nondirective leaders seek the opinions of team members, consult with them in planning and decision making, and sometimes, on non-health care issues, even put ideas to a democratic vote. Neither approach is appropriate at all times. In general, directive styles will be more appropriate in lifesaving situations and with starter-level employees, and a more participative style in practice management situations and with professional and paraprofessional associates. Summarizing research, models, and theories developed by a variety of social scientists, Claremont McKenna College professor Dr. Chemers gives this advice: "If your subordinates do not have the knowledge necessary to perform the task, or if their attitude is such that they lack commitment to the goal at hand, a directive approach is warranted." The most common example of this situation is the chemotherapeutic regimen for a patient where the drug, dose, and duration and administration is dictated by the veterinarian. Of course, even the best veterinarian doesn't always have a clear picture of what the most desirable course of treatment should be. You may need a colleague's perspective or the staff's ability to provide subjective information on the case or client; here, participation is called for. When a veterinarian is nondirective, it is more likely that the team members' intellectual abilities, years of practical experience, or technical capabilities will contribute to the task. This is especially true for challenges in practice management that deal with client bonding or improving productivity. The participative style has some important bonuses. It makes team members feel autonomous -- a proven motivator for many personality types -- and it gives them the opportunity to develop their skills. In deciding between the two schools of leadership, also consider the bottom line -- "Can subordinates be expected to energetically implement a management decision if they didn't participate in making it?" If one style or the other feels uncomfortable to you, don't be surprised. Many theories assume that any person can be equally adept at any behavior; this just isn't the way it is. A considerable body of research shows that leaders have personal styles that they are more comfortable with and that they habitually use. If you are the type who is very concerned about relationships, about harmony, and about acceptance by the staff, you will lean toward the participative styles. They place greater emphasis on morale. If it is very important that people like you, there will be difficulty with the directive styles of leadership. On the other hand, if there is a high need for order and a very strong desire to accomplish a task efficiently as possible, you will find frequently that the directive approach is favored. Knowing which end of the spectrum is preferred by your colleagues or the practice owner can help you work with them more successfully. If you are the associate and the practice owner is highly directive, you can depersonalize and defuse most situations instead of taking his personality as a personal affront. More importantly, if two veterinarians are both directive in style, there will be conflict about whose directions are best. Both want an orderly practice environment -- but based on their own order. If both veterinarians are participative in nature, they may want to avoid conflict so much that they don't control problems and, therefore, waste a lot of time. People need to understand their own inclinations, the partner's style, and if employed, the leadership style of their boss. If attention is paid, situations can be recognized before they reach an impasse. Regardless of styles, the secret is to communicate effectively. This means that information is given AND received in each exchange. Brains and ambition are hard to recognize and reward if they are muffled by lackluster or annoying verbal traits. It doesn't matter how brilliant or sincere an individual is; if the message doesn't come across verbally, it will be lost. * What the leader believes he/she "heard", either verbally or in writing. Clarification is seldom discussed. * What the leader believes the staff should know, for their own good or for "protection" of the practice. * What the leader believes the staff wants to hear, regardless of the practice needs or environmental situation. * What the leader thinks should be "toned down" or "built up" for the benefit of the receiver. Facts are mediated. * What the leader's values and attitudes do to the information; the bias of prejudice and personal ethics. * What stress or stresses the leader is operating under, at home or in the practice. * What importance the leader attaches to the information, the validity of perceptions other than their own. * What the leader feels at the moment that the information is being received or when passing the information to others. When we consider the filters that information must pass through at each level, it is understandable that distortion, dilution, or total loss of understanding occurs. Do not misunderstand these comments. After all, it is the leader's job to overtly filter messages in order to clarify them or add to them as required. The leader, however, should not allow personal feelings and stresses to filter communications inappropriately or covertly. * The notion that any opinion in opposition to the bosses' idea is "negative thinking" and therefore bad. * The notion that practice teams always gripe, and you should only worry when they don't. * The belief that the information is unimportant and that the originator does not have the big picture in mind. * The belief that the veterinarian(s) are not interested in the paraprofessional perception. * The belief that you will get into trouble for passing along this type of observation or information. * The belief that the information will reflect adversely on you, your ability, or the staff effort. * The belief that the practice manager/ownership only want to be told the good things and not the bad things. Do not think that all filters are bad. Some filters serve a useful purpose. You should try to solve problems, or when addressing a problem, offer at least two alternative solutions. You need to take the appropriate action, try the best alternatives, and pass on the significant information. Whining is not constructive communication. The acid test is to ask yourself whether you would need or like to have the information if you were in the leadership position. Only pass the information on if the answer is yes. * Keep it short, simple, and direct. * Word your questions so that they will elicit a "yes" response; the position is then associated with the positive. * Suit your message to the audience. * Use words like "let's" to automatically associate yourself with the team. * Use a story or anecdote as a window. Construct a vivid scenario of "what if" or "when" to make the team imagine the events already occurring. * Using words like "right" or "truth" puts your position on the positive side of a debate. * Know when not to speak. A dramatic pause after a particularly important point will stress your sincerity. It also allows you to evaluate the reception. If negotiating, present your case then leave in silence. Improving your own communication skills to meet the needs required to cope with varying leadership styles is only smart business. Select those things you can effect, and do your best to be all you can be with those things you can influence. Do not spend great amounts of time fretting over things that you cannot influence. It makes for a far better practice environment. the quality and duration of the companion animal’s life. Through an awareness of the filters and barriers in the practice communication systems, a leader can decide which communication system can be used, how to reduce the effects of the filters, and where to look should breakdowns occur. Good communication does not just happen -- it must be developed and maintained be each and every team leader. An important facet of any leader's responsibility for developing and maintaining effective communications is that of daily coaching and counseling. The veterinary healthcare team wants to be better; they want to give the best to the clients and patients. Communication is the most significant means of influencing a team member's behavior, their image of self-worth, and their participation in the practice's goals and objectives. As you walk into the bookstore, and wander down the business text aisles, please note the number of texts on leadership and management. This is proof-positive that there is no one set answer for the best outcomes. The first text I published, Building The Successful Veterinary Practice: Leadership Tools (Volume 1) Blackwell/Wiley Publishing, was caused by my consulting team taking me to task because the first book I drafted, Building The Successful Veterinary Practice: Programs & Procedures (which became Volume 2) referred to leadership and teams, but did not give the basics. Volume 1 has 14 leadership skills which can be taught, but the assimilation into daily life is much more difficult than just reading the text. Most students of team-building have long acknowledged that many aspects of leadership remain a mystery. I believe that both TRUST and RESPECT are critical organizational behavior elements of leadership, and another such attribute is the concept of “charisma.” Charisma has been described as a quality that enables leaders to influence others, to attract followers, and achieve remarkable outcomes beyond that of any individual. About five percent of the population will develop a stom¬ach ulcer at some time in their life. For many years, it was assumed that the cause of stomach ulcers was excess acid in the stomach that came from stress, diet and general lifestyle. The wall of the stomach became inflamed and sometimes this was so severe that the stomach would be perforated, in which case it often became a bleeding ulcer. Physicians recommended that patients eat bland diets and avoid stress because excessive stress and the production of stomach acid were known to go together. Some foods were thought to either be more acidic or to cause the stomach to produce more stomach acid. Let us now switch to a totally different arena, the study of leadership. Despite all the research that has taken place about the nature of leadership, practitioners and scholars have long acknowledged that many aspects of leadership remain a mystery. What’s more, we have described these mysteries in terms that readily concede that it they are something that we simply do not understand. We would like to address one such mystery. Often, leaders have been identified as possessing some remarkable quality that sets them apart from others. This quality enables them to have a powerful influence on others. It causes people to be attracted to them. It enables them to achieve remarkable outcomes. We have labeled this quality “charisma,” coming from the Greek word mean¬ing “gift.” It was thought that this quality was a gift that was bestowed upon some and not others. No one knew where it came from. Unlike other leadership skills such as giving compelling oral presentations or delegating, no one attempted to teach charisma. But having given this quality a label allowed observers to say things like, “Well, the reason she has been so effective in her role is that she’s charismatic.” Others hearing this would nod their agreement and concur. Everyone pre¬tended that they understood what was meant. In truth, no one had the faintest idea what ”charisma” was, other than that there was a special quality this person possessed. For those involved in leadership development the ques¬tions were even more profound. Not only is there a ques¬tion of understanding it and being able to define it; but more importantly, can it be learned or acquired? Can it be measured? What kind of impact does it really have? Is there one way that charismatic or inspiring leaders behave or does charisma have several “flavors?” What the authors discovered after assessing 14,500 leaders confirmed, “expertise, inspiration, and motivation” were the key factors from followers for defining leadership competency. Inversely, when assessing leadership competency, followers (managers, peers, and those who report to them) poor leaders got the lowest scores in these same areas. 3. Initiative – a driving force to make things happen for the better (status quo goals were considered NOT INSPIRING).
? Leaders position acts as an accelerant to any emotional contagion that occurs, altering the organizational behavior into an energy flow (inversely, negative emotions of any type shut down the organizational culture’s energy flow). What you do speaks so loudly, they can’t hear what you have said. Every veterinarian must learn to be an effective leader, especially when pursuing client-centered patient advocacy in well care. Every specialist must learn to be an effective leader, especially when developing satisfied referring veterinarians as well as satisfied clients. Every practice owner must learn to be an effective leader, especially when pursuing the team-based healthcare delivery model, and when leveraging a veterinarian’s time is important. In fact, every member of a practice healthcare team must learn to be an effective leader, for the sake of peers and clients, as well as the promotion of health for our patients. Becoming an inspiring leader is not limited to one set of core values or leadership action-based taskings. Rather, inspiring leaders draw on a number of attributes and behaviors, all powered by their preferred emotional method. The choice is NOT whether you want to be an inspiring leader or not; it is a function of perceptions of the practice team and clients. My suggestion is that the 14 leadership skills I have published in many venues be combined with one of the behaviors or attributes listed above and infuse it into daily behavior with positive emotion toward the practice team and clients. Experience shows definitively that by doing so, a practice owner or manager will become perceived as a more in¬spirational leader and, in turn, have a more productive and profitable practice. IT ISN’T CHANGE THAT DOES YOU IN – IT IS THE TRANSITIONS! It is not the changes that do you in, it’s the transitions. Change is not the same as transition. Change is situational: the new program, the new role, the new team, the new policy. Transition is the psychological process people go through to come to terms with the new situation. Change is external, transition is internal. The 3 P barrier (pride, process, paradigms) exists in most all veterinary practices. Several of the important differences between change and transition are overlooked when people think of transition as simply gradual or unfinished change. When we talk about change, most people naturally focus on the expected outcome that the change will produce. If you are moving from California to New York City, the change may be seen as crossing the country (with multiple routes and key milestones), and probably learning your way around the Big Apple. The same is true for a veterinary practice changing to a team-based healthcare delivery format rather than a doctor-centered format, or maybe just establishing an electronic communication system for internal coordination between practice zones. In each case, the new arrangements must be understood if we are to be ready for the change. Transition is different. The starting point for transition is not the outcome but rather, the ending that you will have to make to leave the old situation behind. Situational change hinges on the new thing, but psychological transition depends on letting go of the old reality and the old identity you had before the change took place. Nothing so undermines organizational change as the failure to think through who will have to let go of what when the change occurs. Transition starts with an ending! To accept that transition starts with an ending is paradoxical at best! Test this fact with your own experience. Think of a big change in your life: your first veterinary practice position, or the birth of your first child, or a move to a new house. Good changes, all of them, but as transitions, each one started with an ending. With your first veterinary practice, you had to let go of the student peer group and the safety of a bell curve assessment. You entered an arena where competency was required, and competency was excellence – mediocre (average) does not cut it in practice. With a new baby, you had to let go of a regular sleep, extra money, time alone with your spouse, and the spontaneity of going somewhere when the two you felt like it. Here too, your sense of competence may have been challenged when you found yourself unable to get the baby to eat or sleep, or even just stop crying. With a home move, a whole network of relationships ended. Even if you wanted to “keep in touch” it was never the same again. You used to know where to go for what: stores, the doctor, the dentist, the plumber, the neighbor who would house sit for you when you traveled. You have to let go of that feeling of “being at home” for a while. Even in these “good” changes, there are transitions that begin with having to let go of something. There are endings. There are losses. The failure to identify and be ready for the endings and losses that change produces is the largest single problem that veterinary practices encounter in change management. This is the reason in consulting that we require NEW METRICS for new programs; if you do not change the measurements for success, you will most often revert to the old system that produces the old metrics. I find practices that refuse to adopt the new spread sheets we provide, many of which are procedure specific, while the “old systems” used monetary metrics, which do not support a clear standards of care KPI per 100 transactions. We have a monthly budget projection, with paired income to expense center categories, but that often requires a realignment of the Chart of Accounts, which many practices resist. I have had some clients who would prefer to make excuses rather than accept a shortfall that exists in the old practice systems and concurrently they resist initiation of closure on outdated paradigms or the establishment of new metrics for new processes and outcomes. Once you accept that transition begins with letting go of something, you have taken the first step in the task of transition management. The second step is understanding what comes after the “letting go”: the neutral zone. This is the no-man’s-land between old reality and the new. It is the limbo between the old sense of identity and the new. It is a time when the old way is gone and the new does not feel comfortable yet. It is for this reason that I modified our year-long consult to have quarterly revisits. In the early years, I made it optional, and those practice that wanted to “save money”, did not fund the quarterly visits; these practices had a high reversion rate. So I made the quarterly visits part of the year-long process, as well as a step-by-baby-step new training program to ensure staff developed into trusted team members, and our new program success rates increased. Sure, some practice owners wanted to short circuit the training process, and when they attempted that, the transition stopped and reversion usually followed. You may mistakenly conclude that the confusion you feel is a sign that something is wrong with you. You may be frightened in the no-man’s-land and try to escape (some staff members take flight when faced with primary accountabilities), lending to higher than usual staff turnover as the programs are initiated. To abandon the transition situation is to abort change efforts, both personally and organizationally, and to jeopardize continuous quality improvement (CQI) initiatives throughout the practice team. If you escape prematurely from the “neutral zone”, you will not only compromise team member empowerment and change, but also lose a great opportunity. Painful through it often is, the neutral zone is the individual’s and practice’s best chance for creativity, individual renewal, and program development. The positive aspect of the neutral zone is realized after it is crossed, after the staff is trained to a level of trust, and after mutual respect becomes an operational reality. The neutral zone is this both a dangerous and opportune place, and it is the very core of the transition process. It’s the place and time when the old habits are no longer adaptive to the situation, paradigms are challenged and many are extinguished, and new team-adapted programs begin to take place. It is the winter in which the old crops are plowed under and returned to the soil as decayed matter, while the New Year’s growth begins to stir and take root. It is the night where we disengage from yesterday’s concerns and start preparing for tomorrow’s opportunities. It is the chaos in which the old form dissolves and the new form emerges. It is the seedbed of the new beginning that most uncommon leaders seek. Most people make new beginnings only if they have first made an ending and spent some time in the neutral zone. Yet most practice owners try to start with the new beginning rather than finish with it. They pay virtually no attention to endings. They do not acknowledge the existence of the neutral zone, then wonder why their staff have so much difficulty with change. I respect your misgivings, but concurrently, I don’t believe they represent real obstacles outside the leaders mind. I am not saying transition management is easy – only that it is essential. I have used the following change formula to defeat the old paradigm of A2 = G2 : If you Always do what you have Always done, you are going to Get what you have always Gotten. D2 = discomfort => desire to change . . . if you are comfortable in your fur-lined rut, change will not occur until it becomes uncomfortable, which then drives a desire for change. P2 = Participative Process . . . the power of many brains is part of the process, as is buy-in by the entire team, without team buy-in, change will not occur. M2 = Mental Model . . . there has to be a clear methodology, including training to trust, to accept the new concept/model; people do not go into the neutral zone without some form of vision of where they are going. Less than Costs = physical, mental, fiscal, social, personal, etc. NOTE: primary factors are divided by multiplication signs, and if any one factor is ZERO, the outcome is NO CHANGE. Please do not turn the whole thing over to individual contributors as a group and ask them to come up with a plan to change over to team-based programs. Involvement is fine, but it has to be carefully prepared and framed within realistic constraints; simply to turn over the power to people who don’t want a change (64% of the population) is to invite catastrophe. Please refrain from making change into small stages, combining first and second and then adding the third later, the change the managers to coordinators last. This one is tempting because in a process-oriented practice, small changes are easier to assimilate than big ones, yet one change after another is trouble and causes no relief from the original discomfort. It is better to introduce change on one coherent package. Please resist the temptation to pull the best people in the practice together as a model team to show everyone else how to do it. We know this is appealing, but it strips the best people out if the zones and hamstrings the zone team’s ability to duplicate the model team’s accomplishments. DO NOT SCRAP THE PLAN to find one that is less disruptive. Forget this option immediately – you had good reasons to initiate the change processes – it is your job as a leader to find out how to make it work! Do not tell people to stop dragging their feet or they will face disciplinary action. Don’t make threats, they build ill-will faster than they generate positive results – but ensure you have made outcome expectations crystal clear and concise. So if you do not know how to get started, consider hiring a guide, a veterinary savvy consultant who understands the void of the neutral zone!